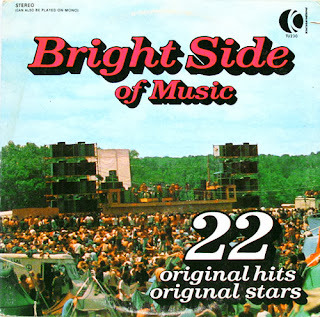 On the January 2014 edition of Adventures in Vinyl, we have a special K-Tel album from 1973. It is the Bright Side of Music. I picked up this album recently at a Goodwill store and when I brought it home, the first thing I noticed was its condition. It was remarkably free of dust, scuffs and scratches. And that's unusual for an album over 40 years old. Then I noticed the address label on the face of side one. 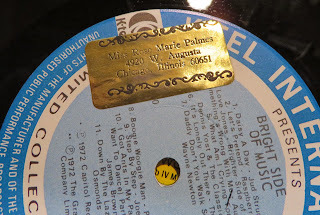 This album was owned by "Miss Rose Marie Palmes," who lived at 4920 W. Augusta in Chicago back in 1973. 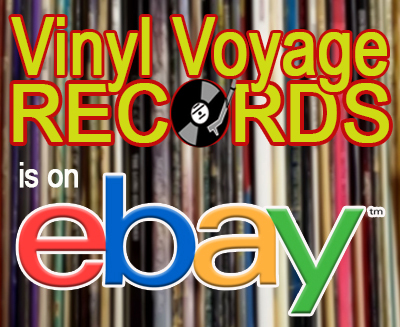 I have several used albums on which people either wrote their names or placed address labels. And these albums generally are in better condition that the other albums. I guess someone who marks their albums takes their music very seriously. A couple of years ago, I found an album with a name and was able to make contact with the previous owner. Unfortunately, I have been unable to to find Miss Rose Marie Palmes. But I thank her anyway for taking such good care of this album. 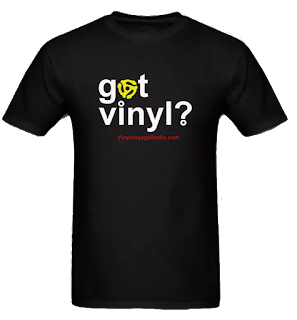 The Bright Side of Music is the featured album this month on Adventures in Vinyl. This is a good album, not only in condition but also in song quality. Although on first glance you may not recognize many of the artists, this album contains some pretty solid pop music from the period. James Brown, Austin Roberts, the Raspberries and Eric Clapton contribute some great tunes. 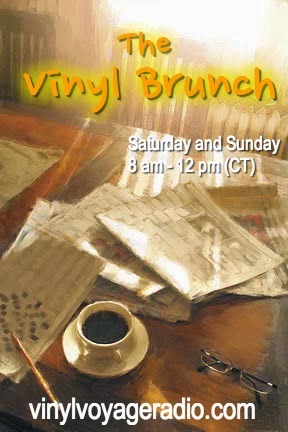 Join us this month as we play the entire album on Adventures in Vinyl.